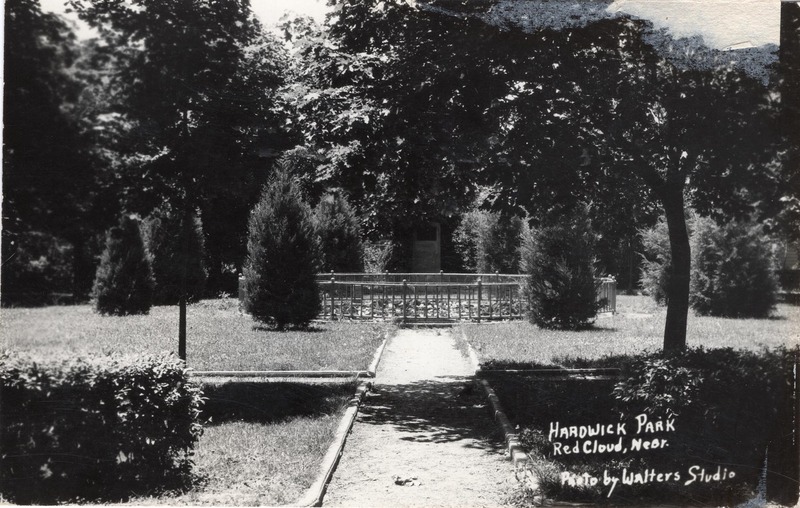 Another beautiful park that once adorned Red Cloud was that of Hardwick Park. It was located on the southeast corner of West Fourth Avenue and North Walnut Street. A gift to the city from John Hardwick in 1925, its intention was to honor those who had served in World War I. In the center of the area was a large wishing pond. The monument which identified the park can still be viewed today. It was relocated and the pond was removed when the scout lodge was constructed on this site in the 1950’s. A picnic park was added in Red Cloud more recently. Located on the northwest corner of West Fourth Avenue and North Locust Street, it was named for resident Harry Obitz (1911-2000). Harry was named the 1955 PGA professional golfer of the year and was the instructional editor of Golf Magazine for 36 years. Locally referred to as “Harry O.” or Uncle Harry, he designed courses worldwide, as well as Red Cloud’s course which is located two miles east and one-half mile north of town. 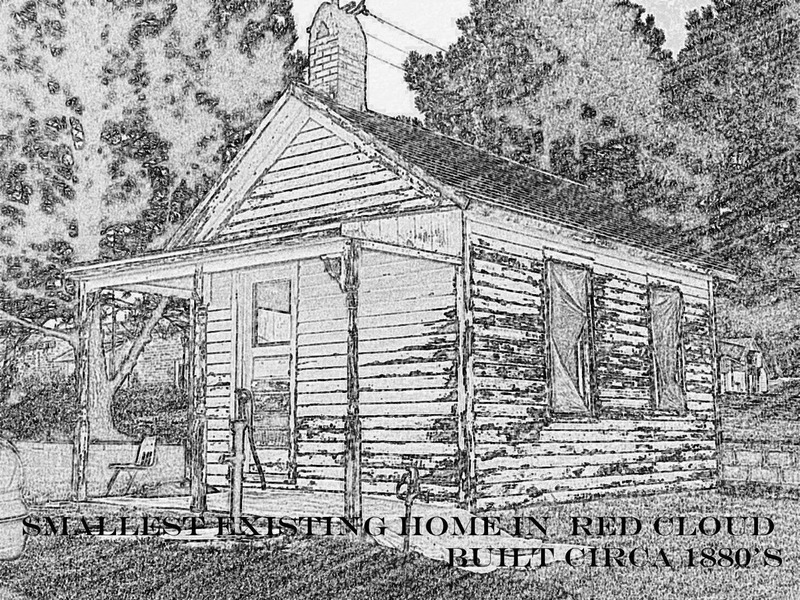 Since the 1880’s the location of Obitz Park has been the site of Red Cloud’s smallest existing house which is maintained by the Elm Street Senior Center. Another home just like it was once located on the northwest corner of Avenue A and North Cedar Streets.